Cockpit and interior cabin view of a Cessna Citation Encore CE-560 landing at Sarasota Florida. The encore is a private jet capable of comfortably carrying eight passengers. It’s maximum altitude is 45,000 ft and it cruises at 420 kts. With full fuel it has a 1,700 mile range. 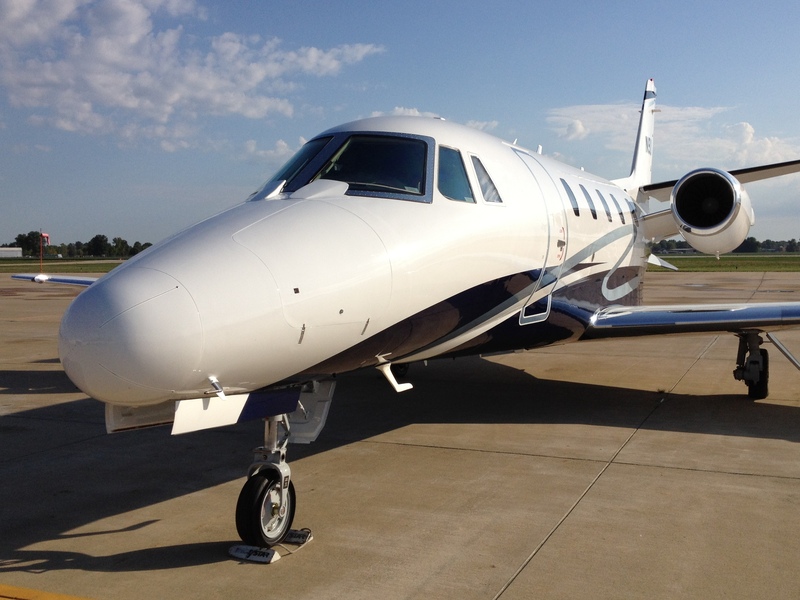 The Encore is the last Citation that Cessna built in its Citation 500 series of aircraft. This entry was posted in Cessna Citation and tagged aviation aircraft, aviation planes, cessna, cessna citation, cessna citation encore, charter jet, citation 560, citation encore, cockpit, encore, general aviation, interior, jet plane, jet planes, landing, planes jet on December 7, 2011 by James Sorsby.